Sorry if anyone was in doubt as to whither I ever returned from my adventuresome getaway in Bolivia, full of international mystique and cultural embrace. Which, as you can see, sometimes involved embracing international/cultural symbols, like this biodiversity tree at the Mariposaria (Butterfly/Ecological Park) in Santa Cruz, Bolivia. 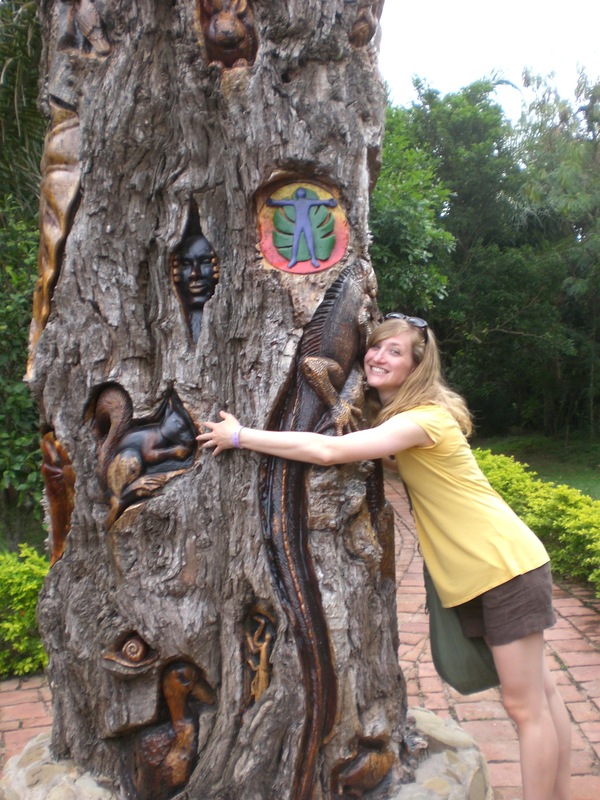 I even hug trees carved to represent all the biodiversity in Santa Cruz, Bolivia. Try and stop me. There are so many words I want to write and pictures I want to post here that I’ve been overwhelmed into not doing any of it. That and a combination of out-of-town weekends and the series finale of LOST. Do you realize that after Memorial Day weekend, it will have been two months since I’ve spent seven consecutive days in the same city? My carbon footprint hates me. 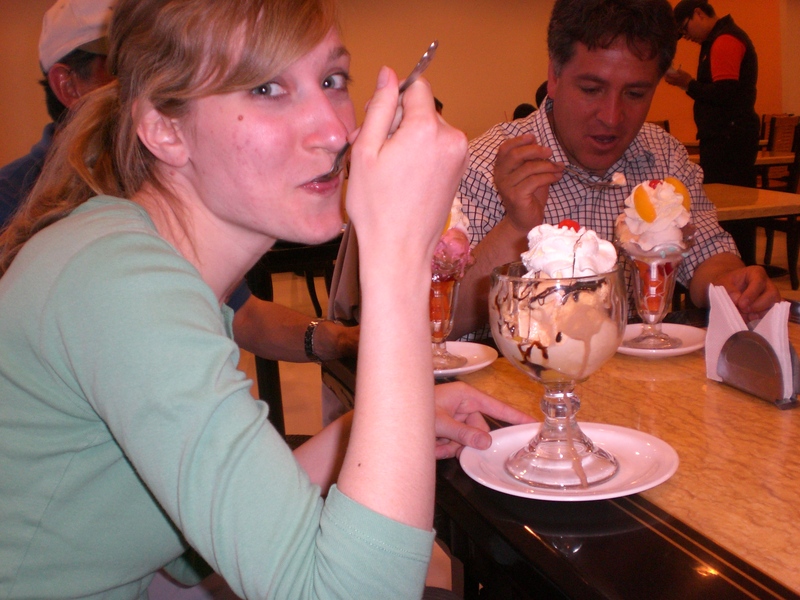 I had a wonderful time across Bolivia, but I am so happy to be back in Seattle. Things I love/missed: my neighborhood of Fremont, my garden, my bed, my favorite sustainable sandwich shop Homegrown, my boyfriend, my friends, my family, being able to breathe normally, being vegetarian, staying up on current events, the Seattle skyline, riding the bus, and understanding full conversations. That would be no internet at my homestay house here in Santa Cruz, where at least the season is always summer. So far I’ve been rocking ecological parks, zoos, and private botanical gardens here, chock-full of scarlet macaws, peccaries, and spider monkeys. It’s a mix of the sad and the inspirational, really. (Please don’t feed the animals plastic, kids.) I have tons of photos and videos to share when I’m not sitting at an internet cafe, like right now. I also attended a way-to-long presentation at a water treatment facility, although it was interesting that it is putting online the first ever program to capture biogas from the water treatment and burn it to use for electricity. They were all in cahoots with the World Bank to even receive carbon credits for it, but the current left-leaning government is “anti-capitalistic” and hates carbon markets. Ergo, they’re scrambling for different financing but still moving forward with the project, which I viewed today. After glimpsing the poo-ponds, that is. My intrepid group of four and I safely made it back from a three-day, other worldly expedition across the Salar de Uyuni, past strawberries-and-cream colored mountains, and through hot springs with flamingos. More to come on that soon. We spent two quick days in Potosi, the highest city in the world (4,090 meters or 13,418 feet), and returned to Sucre, the capital, to catch a flight to the other big city in Bolivia, tropical Santa Cruz. While the warm days and cool nights of the windy Altiplano (chock full of llamas) have been great, I’m really looking forward to the Amazonian nature of Santa Cruz. 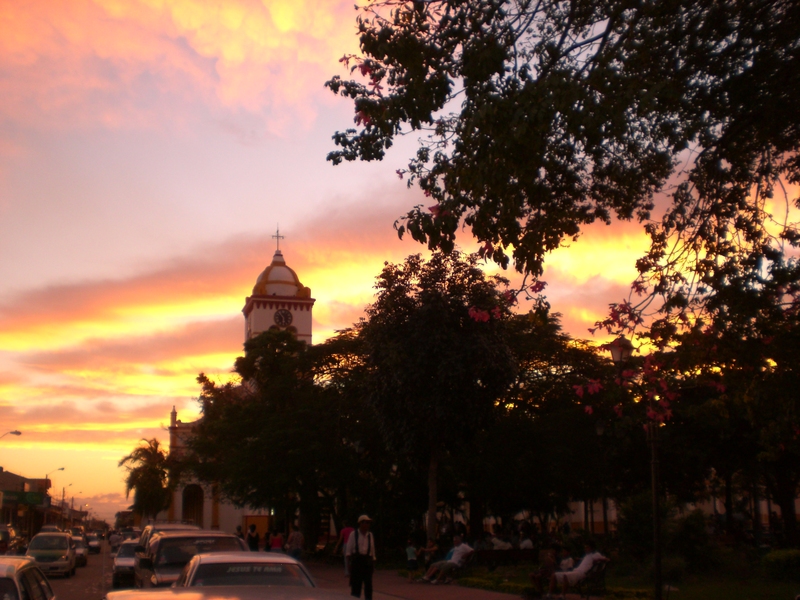 I have one more week in Bolivia and then I return to the U.S. next Saturday. Funny how quickly I’ve adjusted my perceptions of reality to what is here in Bolivia (Pig crossing on the way to the airport! Non-existent security at the airport! Speaking Castellano all the time!). 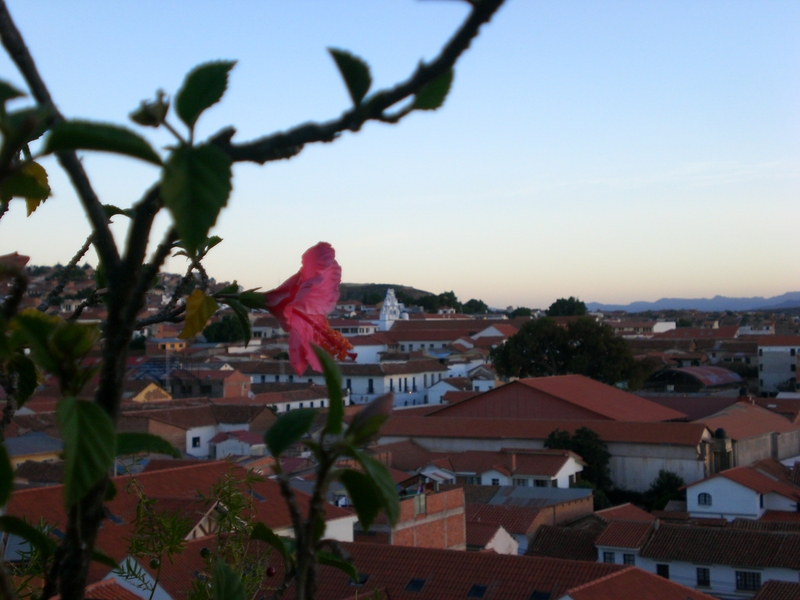 A view of Sucre, the white city, from my hotel. Reminds me of the Spanish city of Cordoba.